The Supreme Court bench of Justice Madan B Lokur and Justice Deepak Gupta on Monday declined to grant permission for the construction of a multi-level parking in the Taj Trapezium Zone (TTZ), asking the Uttar Pradesh government to let tourists walk in the 10,400 sq ft stretch surrounding the historic Taj Mahal rather than commute by vehicles. On October 24, the Supreme Court, on account of the Department of Tourism, Uttar Pradesh, having commenced the construction of the multi-level parking lot in the Taj Orientation Centre Project at Shilpgram, Agra, without seeking permission of the court and the Central Empowered Committee and conducting the Environmental Impact Assessment, had ordered for the demolition of the structure. Thereafter, on October 27, on the assurance of the state government to file a comprehensive policy on environmental preservation and sustainable development in the ecologically sensitive TTZ and the nearby areas within two weeks, the top court has granted interim stay on its earlier order for demolition. On Friday (November 17), the Department of Tourism submitted a holistic policy directive on combating the issue of pollution in the said areas. The affidavit asserted the quality of air in the TTZ and the surrounding regions has not deteriorated since 2002 when the air pollution surveillance was last conducted. It also cited the findings of the monitoring stations set up at Rambagh, Itmad-ud-Daulah, Nunhai and the Taj Mahal in so far as they reveal that the volume of gaseous affluents ‘Sulphur dioxide’ and ‘Nitrogen dioxide’ in the air has remained consistent and even the percentage of Particulate Matter has not increased in proportion to the manifold rise in traffic and other business activities. In addition, the state of Uttar Pradesh has declared its plans to establish four new sewage treatment plants and 8 CNG stations in the district of Agra and to aid the conversion of all vehicles, private as well as public, to natural gas. Earlier also, on Tuesday, November 14, the state had filed an affidavit announcing the development of a distinct micro level plan for the protection and preservation of the said area and of the monument and making reference to the provisions incorporated in the same respect in the Agra Master Plan of 2021. The proposed multi-level parking was being constructed at the capacity to hold four hundred four-wheeled vehicles with a view to ameliorate the traffic menace by reason of the parking of vehicles on roadsides. “It would be better for the tourists to walk around the world heritage site rather than travel by cars,” remarked the bench, declining to allow the state’s application for the construction of the parking. 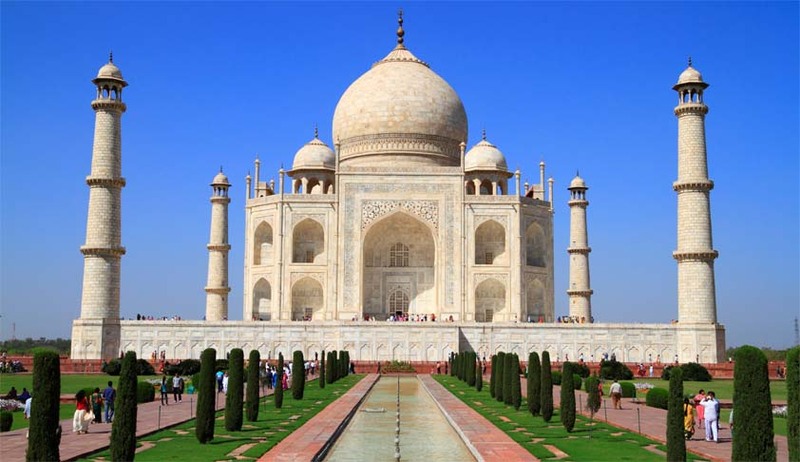 The bench also issued notice to the TTZ Authority to show “If there is any comprehensive action plan for protection of Taj Mahal not only from environment point of view but also in regard to other aspects and also to produce the vision document”. The matter is next scheduled for further hearing on December 8.